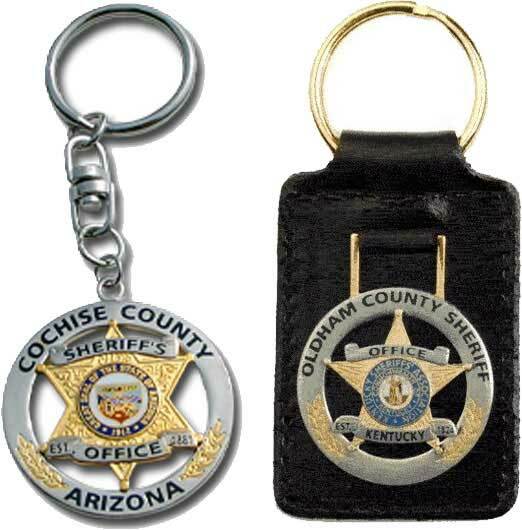 Send us a picture of your badge (or patch) and we can turn it into a key ring, custom lapel pin, mini badge, belt buckle or cuff links. We also make custom awards, dog tags and medals from your design or existing insignia. We can cast any design with or without color and plated in your choice of gold, silver, bronze or black nickel. Contact Us today to make your custom insignia product, including full-size badges or challenge coins. There is no obligation for a quote and our references will confirm that our quality is second to none.